Our company maintains the WWW.RACE.FI webshop. We have been in business since 2006, and are among the biggest and best reputed performance parts companies in Finland. Our store which is open from monday to friday from 10am to 6pm is located 40km north of Helsinki. We sell regularily to other European countries, and recently we got some pretty good flat rates too. The rates are fixed up to 31.5kg, so purchasing with a friend or two splits costs and doesn't cost any extra. Then, why purchase from us? » We have been in business for a long time, and will be. » We're among the biggest in Finland, and want to be among the biggest in EU. » Affordable prices. We sell on volume and we let it show on our prices. » Simple: all our prices include tax, no hidden charges. » Well over a million different parts available. » Every customer, big or small is important for us. We know the key to long term business is happy customers. » Good stocks in our warehouse, and a working supply chain if out of stock. » Cars are our hobby and enthusiasm, so we know what we sell and what it's for. » We are a limited, real company with excellent reputation. » Our staff both writes and speaks excellent english. Shipping up to 31.5kg to Denmark 2 - 3 days 17 € (including tax), delivered to your door by DPD. Shipping up to 31.5kg to Norway 2 - 5 days 21,4 € (including tax), delivered to your door by DPD. Shipping up to 31.5kg to Sweden 1 - 3 days 17 € (including tax), delivered to your door by DPD. The Walbro internal 255LPH fuel pumps are one of our definite top sellers, and for a good reason too because they are the cheapest in Finland. A low price comes with huge sales, and we want to make it even cheaper when we sell more . Priced @ 119 € including vat. 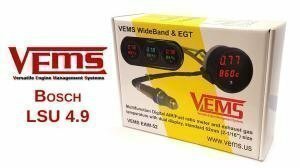 The Vems gauge is also a product which is always in stock. We have sold around a thousand of these kits with very happy customers. 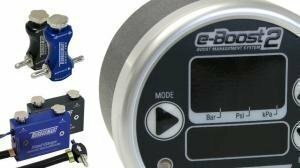 The kit includes the gauge unit which has internal WBO2 and EGT functionality. The sensors, a Bosch wideband and a 6mm thermocouple, and all other neccessary hardware is included in the kit. Priced @ 299 € including vat. With well over a thousand units sold this is a product which we want to stock all the time. 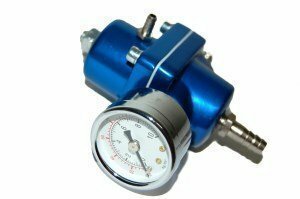 This is a tested & tried pressure regulator which offers superb value for money. Comes with install hardware, colour changes from blue to red depending on our batch. Priced @ 41 € including vat. Value for your money. Our own brand consists of products which are purchased from the factories which make parts for the big brands. This is an other example of our own brand products which offers very high value for money and does what it's intended to do. Available for many popular cars. Priced @ 49 € including vat. Quality plate and torsen type differentials from Quaife, Cusco, Kaaz, Tran-X and Gripper. 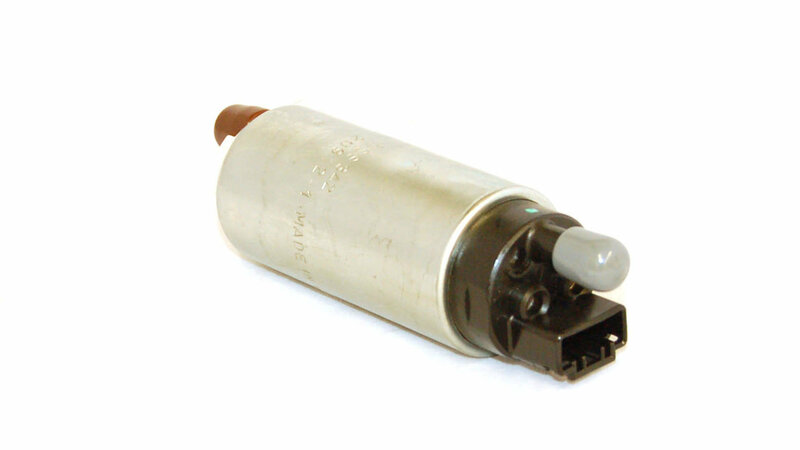 Differentials are among the parts we sell quite a lot of, and we offer Finlands widest range and best prices for them. Popular units are readily stocked in our warehouse. Ask us for a very good price. 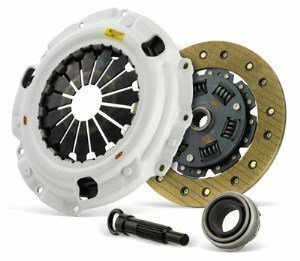 Performance and repair clutches for almost any car and any kind of power. Sachs SRE, Clutch Masters, Xtremeclutch, Black Diamond and OEM clutches are available at great prices. Ask our sales for more information and prices. 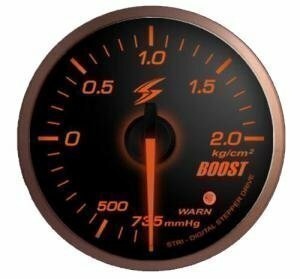 This two-in-one 52mm gauge displays Exhaust Gas temperature and a Wideband Fuel Ratio at the same time. Used in both street- and race cars, we have sold over a thousand of these kits in Finland. The kit comes with all neccessary hardware and sensors, so you dont need to purchase sensors or controllers separately. To shop, just add it to your shopping cart, then go to checkout and select Wiretransfer and DPD as shipping. Shipping will be deducted from the order when we process it within a few hours. We have lots of these in stock. If you decide to purchase other items with the vems, they will also get free shipping to EU countries, Russia and Norway. 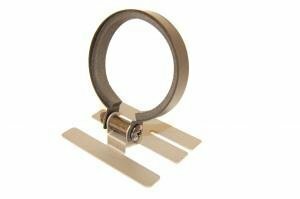 STRI is known for it's accurate and stylish gauges, available in 52 mm and 60 mm diameters. Although STRI has been available with us for several years, we are now happy to announce some changes. 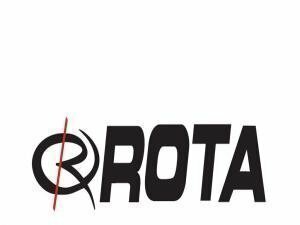 Thanks to the huge stock order which just chimed in all Stri gauges are available directly from stock, and they are also listed at very affordable prices. Even at regular prices, STRI has been one of the most important exports we have - now it will most likely rise to number one. 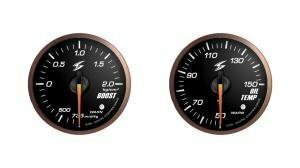 STRI Gauges are available as traditiona analog gauges, and digital stepper motor gauges where, for example, the boost gauge has it's own MAP sensor (included). The analog gauges are simply affordable and accurate, whereas digital gauges offer the most precise readings and are self-calibrating. DSD-CS: A clear lens digital gauge. 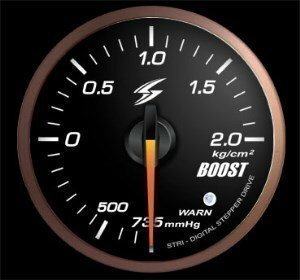 DSD-SLM-2: A Smoke lens digital gauge. 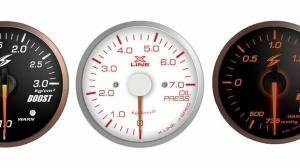 X-line XC-series: Clear lens analog gauges. 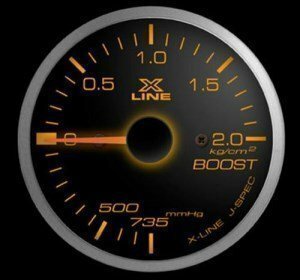 X-Line XS-series: Smoke lens analog gauges. The choice between smoke and clear-lensed gauges can be hard, as on the other side smoke lens gauges are very stylish, but the downside is that in direct sunlight reading is harder than from a clear lens unit. 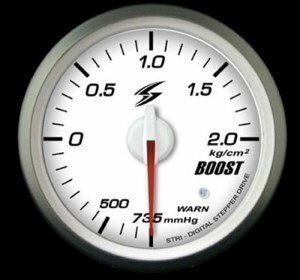 I would break it down to a matter of where the gauge will be installed and ofcourse about what pleases the driver. If the gauges will be exposed to sunlight most of the time, use clear, if not, use smoke lens if it is what you like. In addition to STRI Gauges, we also have a very popular gauge stand directly in stock. 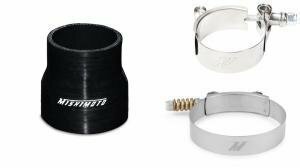 Suitable for all 52 and 60 mm gauges. We take pride in our customer service, and welcome you to check it out! All items sold are covered by either the manufacturers warranty, or by an additional warranty by us. In stri's case sensors are also available separately. We will either refund or replace any items covered under warranty. Returns are accepted for unused items in original packaging. The customer is responsible for shipping charges in such a case. Payments are accepted by paypal or as a SEPA transfer from euro-countries. 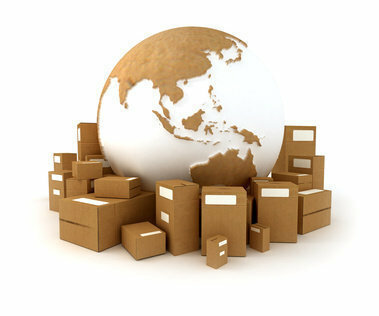 All stock items are shipped the same day a cleared payment has been received. You will find all the springs in the webshop, and can select the correct ones for your ride from the dropdown selector. We also did some investigating on the price for Sachs SRE clutch covers, and can with confidence say that we now have Europes cheapest prices for the five most popular covers. The covers are readily in stock, and restocks take less than a week if we run out. Why these covers only? Because these are the most popular ones, which are also used on a lot of custom kits. Every cover also offers great torque caps. The spring has really started in the last few weeks in Finland, and we've done a lot of work on the suspension front. 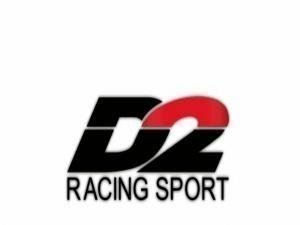 We have had brands like Eibach, Black Diamond, D2 and OBP in our shop for years, but we got fresh 2014 lists for all of them and have now updated around 20.000 products in our system. The new listings allow easier browsing of products by simple dropdown lists of model and make, or properties like thickness or pcd for spacers. The prices were also updated - like usual, in favor of our customers. We have gained a lot of volume in the last year which allows savings. These savings are put directly in our sales prices because we want to grow even more. In Finland this is the top selling adjustable coilover kit in it's series. We sell well over a kit per day and have thousands of happy customers in Finland alone. - Prices start at 799,00 € including tax and shipping. - Good stock on most models, otherwise 1-2 weeks delivery if not in stock. - Adjustable damping, spring preload and height. - Most models have adjustable camber plates on the front. 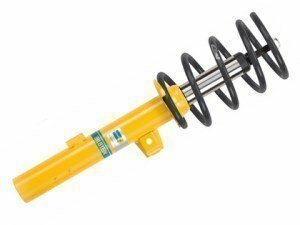 - Full-coilover models are available for cars with separate rear springs, like the E30 and E36. OBP Hydrauliset käsijarrut (Universal naturally, buy you can select based on handle position, length, number of cyliners etc.). A lot has been happening over here in Finland on the suspension scene. Our shop has had quite a comprehensive overhaul on suspension listings. D2 coilovers got relisted and the prices dropped on quite a bit on some models. Most street kit start from 799,00 € like usual, but the real news is that the other kits now retail at 869, 899 and similar prices which is a nice drop compared to the early listing. This is thanks to better logistics and pricing which we will now fully abuse to your benefit. 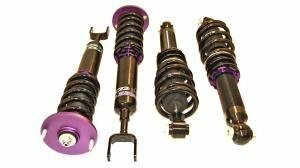 D2 coilovers are a leading brand proven in competition, so 799,00 € should be close to an ideal deal for these fully adjustable kits especially with free shipping. Popular models are usually in stock in Finland, and other models take a week or two to arrive to us. Shipping is naturally free. Eibach. Well we've been selling tons of these. Eibach makes everything: springs, suspension kits, spacers and coilovers. They got relisted a while ago, and the products are easy to select directly from the webshop. Springs come in two stages. Pro-Kits which are good with original absorbers and lower approximately 30mm, and Sportline which we suggest should be used with performance dampers like Kyb Agx or Bilstein (available from us if neccessary). Sportline kits lower the car approx 45mm. Suspension kits, the B12 Pro-Kit and Sportline are real winners. 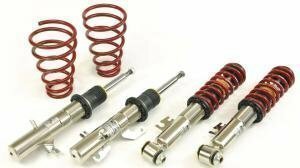 They are basically a very decently priced (650 to 850 €) kit consisting of Eibach Pro-Kit or Sportline springs, and the Bilstein B8 shock absorbers which have an upside-down design, are designed for stiffer springs and finally are ~30mm shorter than the original dampers to prevent bottoming. 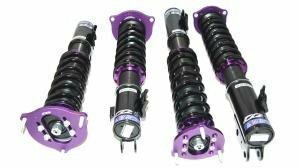 If you're after adjustable Eibach kits, the Pro-Street-S is a coilover which offers a stiff, yet comfortable ride. It's not the cheapest, but one of the best compromises when you need height adjustability with comfort. Finally, something we were quite eager about to get finished is finally here. 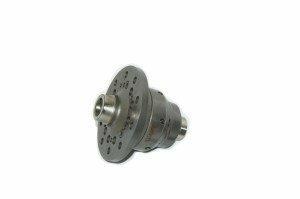 A comprehensive listing for each and every Powerflex bush selectable by make, model and variant. No more lengthy pdf catalogs and browsing between pages, they are all available in the shop. Also note that most bushes also have a specific image of the bush it's self. Hello everyone! It's been a while and a very busy year since our last post. Our sales to Europe have tripled and it's been very nice to see increased shipments to other countries than Finland. Thanks to that, our stocks have also over doubled and we're now working as a team of 3 full-time employees and one part-time assistant. We've not been that busy writing over here on the forums, but instead we did take on quite a challenge by translating a lot of our website over to english and overhauling old english content. I hope you guys like what we've dont with it. 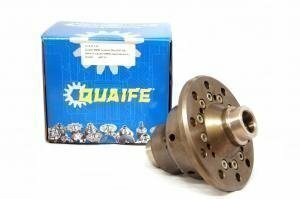 - We're selling quite a bunch of Quaife ATB differentials and also have a good stock on them. They are an ideal street differential with absolutely no noises or clunks - a diff for a gentleman. 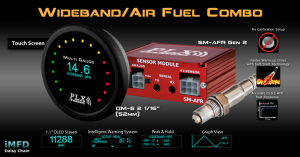 - The Vems wideband AFR and EGT gauge as well as the new addition, the PLX DM6 + SM-AFR kit are the most popular sales to other EU countries. While the Vems is a comprehensive kit displaying both AFR and EGT at the same time, the PLX comes with a nice touch scree and the new Bosch 4.9 LSU. - In the suspension range D2's coilovers lead the way with a ready stock of over a 100 kits in our own warehouse. Eibach lowering springs lead the way in the daily driver suspension category. 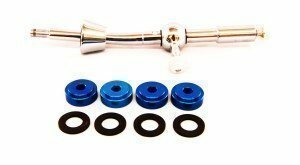 D2 kits are fully height and damping adjustable, while Eibach offer a supreme lowering spring which retains most of the original comfor in the ProKit range. All in all, this is a glimpse to what is going on at the moment. We're very happy to answer emails and calls in case you cant what you're looking in our webshop. Worth knowing is that orders over 400€ are shipped free of charge inside the EU as long as we're not talking about special cases like engines which need a pallet. Below are a few things happening over here. Dont forget to mention which car you have so we can check the correct oils. 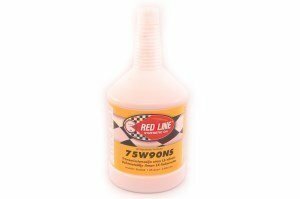 The offer with Red Line oils is valid until February 5th. 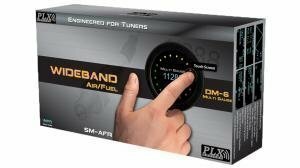 This weeks promotion, valid until tomorrow, are the Vems and Plx Wideband gauges. 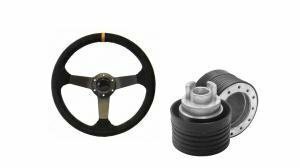 This week we updated the listing for Quaife ATB's as well as some other Quaife products like the Quick steering racks. The update resulted in quite a few new applications, and thanks to a better rate in the British Pound, a few % less price as well. 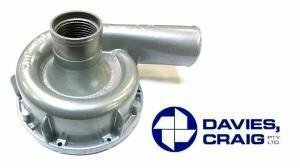 One of the more recent products are the Davies Craig water pumps which are very popular here in Finland. Basically, an electric water pump can replace the original mechanical water pump. An electric pump offers superior cooling capabilities as it can be ran at a constant rate, and the flow can be way more than it's mechanical counterpart even at high rpm's . This week we updated over a hundred D2 kits with images taken of the actual kit, since afterall we do have them in stock and felt like taking better pictures. There are still a few images being processed, but the listing looks a lot better than before. We aim to picture each kit coming though from now on, so you get a better idea of what the kit actually looks like. Starting from tomorrow, we offer all Kenwood players at a 10 % discount. We have many players in our own stock, and the rest will arrive to our stock in 1-2 working days. International shipping is ~10 to 20€ depending on location and package weight, and all orders over 400€ are shipped free of charge to the EU. Our outlet section in the webshop houses some items we dont really want to stock. Some were misjudgements by us, and some were orders never picked up. All items are new unless otherwise stated, and naturally in our stock. Earlier this week we overhauled the inventory and checked which products need to be cleared, since after all we have over doubled our stock since last year. Best regards & have good day! Most shifters are available directly in our own stock at a sale price of 44€ (regular 49€). A shifter shortens the travel and provides a nice upgrade to the worn original lever. The shifters are listed on the website with their applications and specific images of each version. Our spare parts inventory grows constantly, and we're working on it a lot to be able to provide good prices for both performance parts and spare parts. Sachs SRE is well known for it's quality clutches. 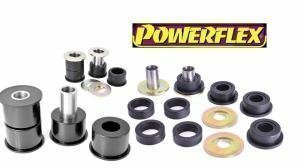 These bolt-on kits provide at best over a 1000nm of torque cap and still offer great driveability in daily driven cars. Now we have them on a weekly sale for - 10 %. Common Sachs SRE kits are ready in our stock, and the less popular items are available in 2 to 4 working days from the factory. The products are listed in two articles in the webshop. One with all the items and an application PDF, and the second with five most popular covers wich are often found in custom kits as well. Kits over 400€ are shipped free of charge in the EU. The offer is valid between 19 and 26.2.2016 in the webshop and from our sales. Make sure your summer will be free of clutch problems. Last weeks Sachs SRE special was a huge success, so we decided to try something even more potential. Eibach lowering springs are now on sale for - 10 %! The product, just like Sachs SRE, is likely familiar to everyone. Pro Kit springs offer lowerings around 30mm, and Sportline kits offer drops all the way to - 70mm. Exact figures vary per car and are available in our webshop. 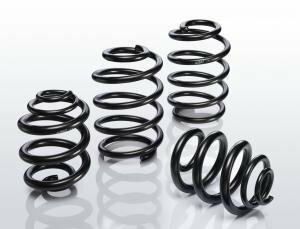 All Eibach springs are available from quick stocks in around a week, or from our own stock. The offer is valid from the webshop and our sales until 4.3.2016. Eibach continues the weekly special with it's spacer range. Valid until next friday are the Eibach spacers with a 10 % discount. As the summer tire season is very close, this is a good opportunity to check if your summer wheels look shy and perhaps need some spacers to fix it. 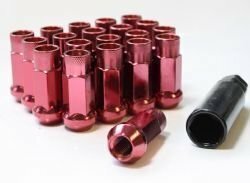 All Eibach spacers are made of high quality materials - we've been selling these for 10 years with zero problems. All thick enough spacers are hub-centric. Bolt-on models are available from 15mm on most models. 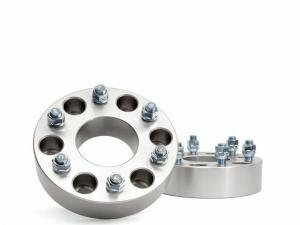 Bolt-on models also include a set of low bolts/nuts for hub fitment. 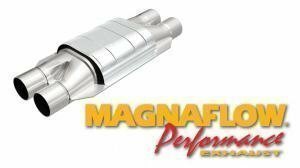 We added some new Magnaflow performance catalytic converters especially to the smaller sizes of exhaust. We also have an interestin 2x2" double model available. Two bestsellers of Holset belong to the HX35 family: the regular HX35 and the HX35 Super. 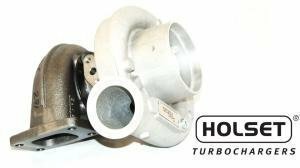 We carry all Holset chargers, gaskets, hardware as well as other mainstream turbo brands. Mishimoto products have seen an increase in sales in the region of 500% since last year, and we aim to continue that trend. Mishi is an affordable branded product which means you get consistent quality with reasonable prices. All intercoolers are also available in black, which is tested to increase heat dissipation. A golden finish is also available for some models. Common sizes and colors in our own stock, and others available with quick deliveries. Thicker radiators, hose kits and electric fans are also available in our webshop. The offer is valid between 11. - 18.3.2016. Thanks to a new pricelist the Black Diamond prices dropped a lot! 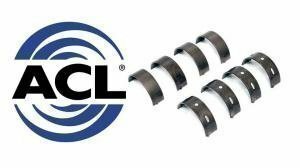 Price is no longer an obstacle for quality brakes. There is no need to talk about Eibach springs as everyone knows them. Find out what else they make from this post. K&N filters ended up in the weekly special, since there is hardly a better filter available and these thousands of filters are readily listed in our webshop. 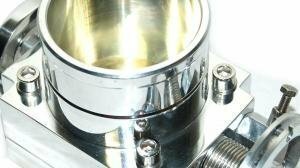 Filters are available as replacement units, intended for simple installation to the original air box and intake kits which include a cone filter and new intake pipework. The offer is valid 18. - 25.3.2016 in our shop and sales. On wednesday we listed over 200 car diagrams for powerflex bushes. These are a simple way to identify which bush goes where. 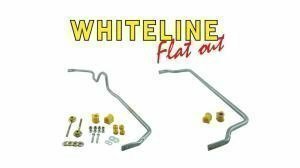 Whiteline makes an unbelievable set of different suspension parts starting from antilift kits and eccentric correction bushes all the way to sway bars. We just updated the pricelist and catalogs on the website. Just a few weeks back we did some updates on Black Diamond pricing and it's listings, so it was only natural to put this performance brakes brand on the weekly special as well. Black Diamond brakes are a proven product in both street cars and racing machines. 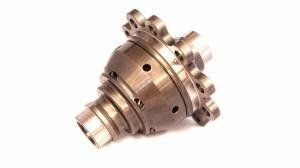 The discs can take some seriours abuse and are available as drilled, grooved and combi which has both machinings. The pads are a low-dust compound which is suitable for daily street or track days. Braided hoses are the ideal way to finish a brake install sice they remove unwanted flex from the system, resulting in a more precise brake feel. We've had quite a few weekly specials, so lets do a spring special this week. All Eibach products are on sale at a 10 % discount. Eibach makes springs, shocks, swaybars and other suspension components. We actually did a small writeup on what they actuall do a month ago: Eibach products. 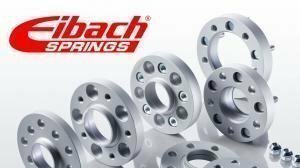 »» Race: Eibach spacers are hub-centric and model-specific. Available as bolt through and bolt on. 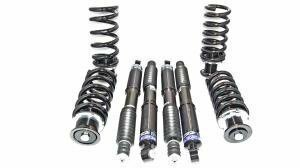 »» Race: Eibach Pro-Kit springs drop around 30mm and are suitable for original shock lengths as well. »» Race: Eibach Sportline springs offer a bigger drop of 50 to 70mm. We recommend matching shocks as well. »» Race: Eibach B12 Pro-Kit suspension kits consist of Pro-Kit springs and Bilstein B8 shocks for a drop of ~30mm. »» Race: Eibach B12 Sportline combines Bilstein B8 shocks and Eibach sportline springs for a drop of around 50 to 70mm. 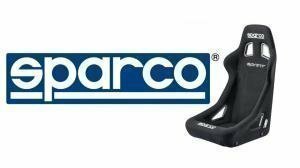 »» Race: Eibach Pro-Street-S coilovers are a height adjustable and comfortable coilover alternative. If you're looking for an adjustable and affordable kit, we have all popular D2 street kits in stock and some pretty good prices for them as well. »» Race: D2 adjustable coilovers. A good suspension should not be an issue of money or availability now =) Orders over 400 € are shipped free of charge in Europe. Stri prices were just updated, and they are now about 20 % better in your favour. Check this out when the reading matters. Changes in the oil range. 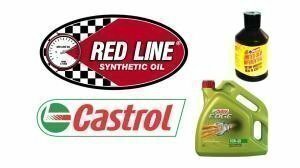 »» Red Line and Castrol lineups being updated. 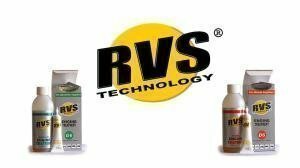 RVS engine and transmission treatments got their weekly special because this has proven to be an excellent product as well! Our Eibach promo goes on, as it's not a weekly, it's a "springly", hehe. 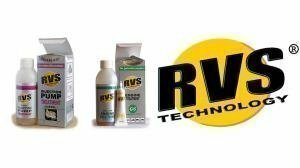 RVS is not just any motorup, it is tüv-tested and proven in real cars. It works by forming a tribocheramic coat in places where friction is present, and that way it can restore a worn (not broken) engine back to original specs. In transmissions it reduces noises and makes shifting easier due to better syncro work. We actually put this in our cars as well, and are pretty darn happy with it! 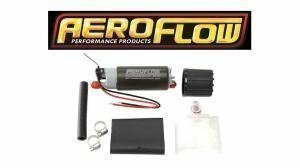 Our Aeroflow pump range grew with a few bigger in-tank fuel pumps. Spring stands for suspension. 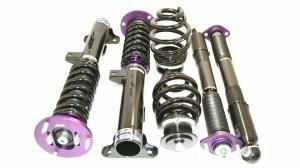 Spring didnt come by suprise - we have tons of quality suspension in stock! 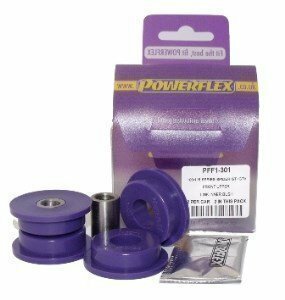 This weeks special is about Powerflex bushings. Probably the bushings in the world! 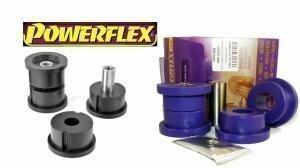 All Powerflex bushes are available on a 10 % discount 15. - 22.4.2016. Polybushes are the final touch to any suspension be it coilovers, air or lowering springs. 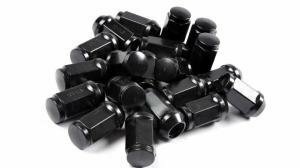 Replacing worn rubber bushes with firm poly versions makes a drastic difference in how the car feels and drives, while still retaining most of the original comfort. 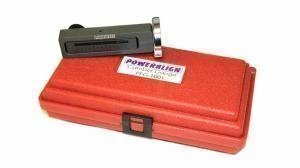 In addition to camber bushes, powerflex also makes a camber gauge which is now available from stock. 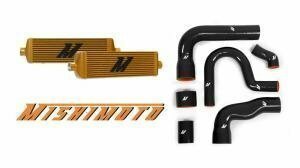 Mishimoto also makes a lot of silicone products in addition to it's wide range of radiators and intercoolers. Check them out here. Now that things are more or less properly tuned, how about making sure they stay tuned as intended? STRI gauges are on the weekly special this week. Just a month ago we released a new pricing for these, and now that they are on sale with 10 % off they should be very competitively priced! There are some analog X-line gauges in stock, but they are no longer available apart from what remains in stock. 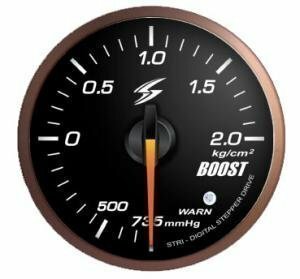 The DSD series gauges are digital units with a stepper motor, and for example the boost gauges have their own map sensor. 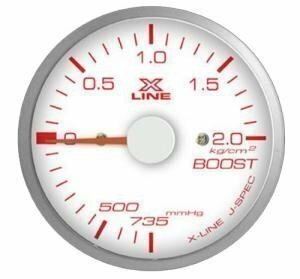 The gauges are available in 52 and 60 mm diamaters, and with both clear and smoke lenses. 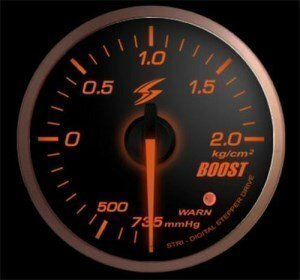 Turbosmart is a proven quality product, and we stock quite some of it. Today is one of the first really warm spring days, and what would be a better product to put on special than radiators! An uprated radiators is a smart choice because it is a fact that one third of the energy from fuel burning in an engine turns into heat. Thus doubling the horses also doubles heat loads. Combine this with some track driving, and an original radiator will be crying when trying to dissipate all the heat generated. 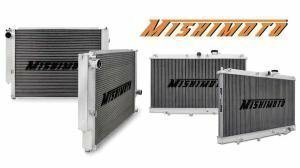 Mishimoto radiators are a smart choice as they are decently priced and also offer very good quality. They are thicker than original radiators, and some models also have an extra heavy duty version available. A small step for us, but a huge leap for our customers. 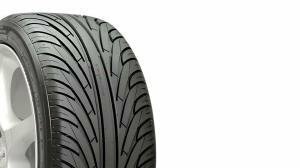 We now also sell tires! »» Race: We're now selling tires! The season is here, and if something breaks, it's needed quickly. We took this seriously and stocked up for the upcoming season. » AFR and EGT are shown at the same time. » Includes a 6mm heavy-duty EGT sensor. » Available with Bosch 4.2 or 4.9 LSU sensors. » A traditional button-interface always works. » Programmable and can output narrowband for the ECU. 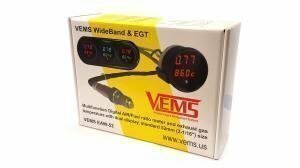 »» Race: Vems wideband afr gauge. » A reliable and popular package with touch-screen. 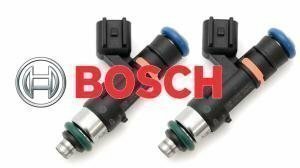 » A fast Bosch 4.9 sensor. » Soft Start prolongs sensor life. » Modular: Connectable with other PLX iMFD series products. »» Race: PLX DM-6 + SM-AFR kit. 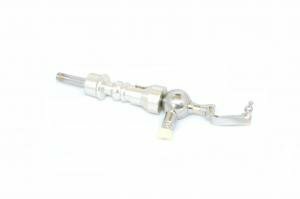 In addition to these, we also offer a lot of other gauges, and ofcourse all sensors and spares as well. Tons - literally - of suspensions in stock! 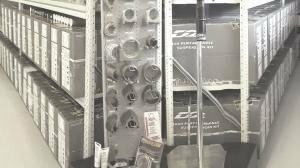 »» Race: Lots of suspension kits in stock! Electric water pumps have broken their sales records over and over again. 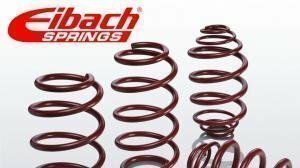 Our Eibach spring campaign is on for one more week! A short cheatsheet of what Eibach is about and what they make was made in early march, Eibach - what they're about. The all-time best seller are naturally the Sportline and Pro-Kit springs, as well as their B12 versions which come with some Bilstein B8 shocks as well. »» Race: Eibach Pro-Kit lowering springs. »» Race: Eibach Sportline loweing springs. »» Race: Eibach B12 Pro-Kit. »» Race: Eibach B12 Sportline. »» Race: Eibach Pro-Street-S coilovers. If you want a height- and dampening adjustable kit, we have lots of stock on D2 coilovers which are both reasonably priced and offer great adjustability. So here we are, one more week of Eibach - 10 %. Clickety click, and check out the shop if you're in need of a good suspension! 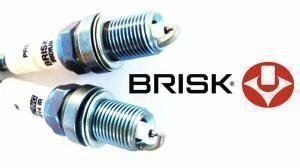 Brisk plugs are not the cheapest, but they are the best you gan get. 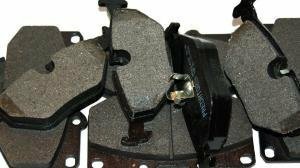 Black Diamond brakes - Quality brakes with decent prices. »» Race: Meguiar's car care products.